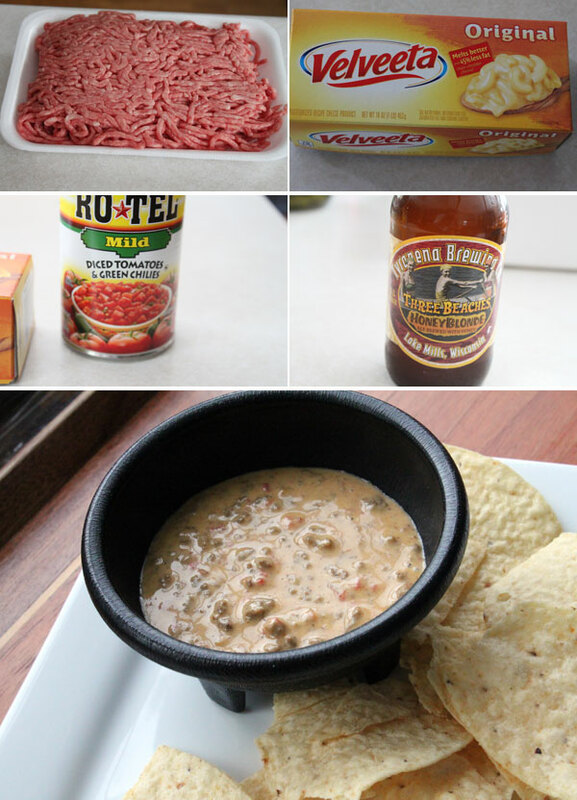 Queso con carne. That pretty much translates to cheese with meat, or what I consider deliciousness. I will admit that this is something that I only make about one time a year, as I typically never buy the Velveeta cheese. Trust me, I look at that cheese, or glance for that matter, and always think to myself what the heck is that stuff. I never look at the label, the calories, but only the box. But this time of year, I pick it up, and I know what I am making with it. 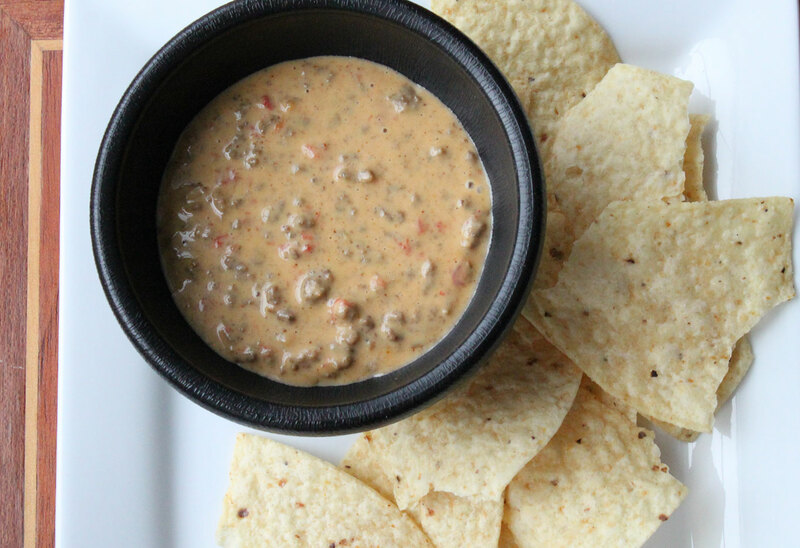 Cheese crack, I mean queso con carne. It’s an ultimate game day food, and it holds well for days to come. It’s the scoopable dip, and one that my family loves. Start by cooking your beef until slightly crispy. Drain the fat from the beef, and return to the pot. Next add in the beer, cayenne pepper, and the block of Velveeta cheese. Reduce the heat to a simmer, low, and cover, cooking until you have a smooth sauce. Adjust your heat to your patience. I know, you want it and you want it now, so if you do not want to cook on low heat, adjust the temperature, stir, and just make sure it does not burn. Does Velveeta even burn? Who knows. When the queso is nice and smooth, serve into a small bowl, or large for that matter, and serve alongside crispy tortilla chips. Scoop and dig in. This is something I make for my wife once a year (maybe twice), but now my kids are totally loving this stuff as well. I should consider making this into a grilled cheese, but the only exception is that it is all gone! Hope you enjoy, and cannot wait until warmer weather gets to us!